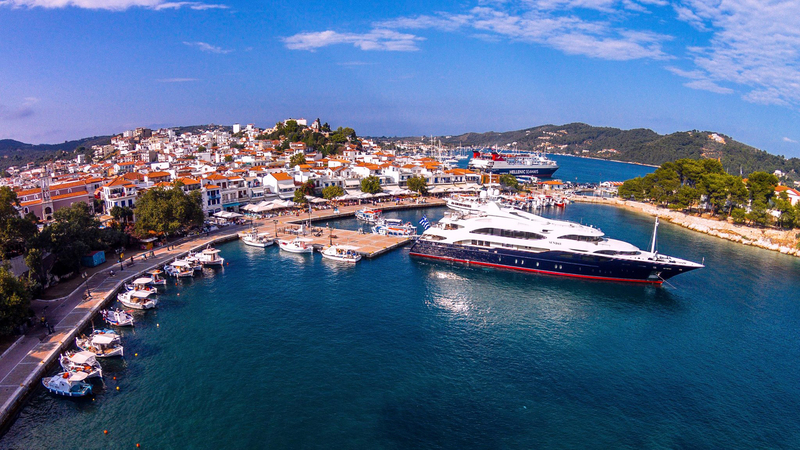 Skiathos is as an old Greece island that has been transformed into a bustling contemporary holiday location and a fantastic place to cruise to on a Greece Yacht Charter. 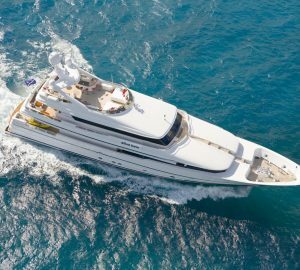 As an island, there is no better way to experience it, and the many other Greek Islands, than on your own crewed Greece luxury charter yacht. 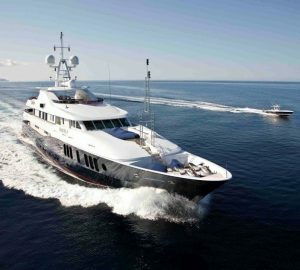 This superyacht charter holiday destination is a good place for sun worshippers in the Mediterranean summer months. In fact, Skiathos is considered by many to hold the distinction of having the best beaches in all of Greece, where you can relax and swim or get a good tan. The island boasts of one of the most secluded beaches in the region, where yacht charterers can really enjoy their holiday at the beach and away from the maddening crowd that normally takes over especially during the summer months. This “old” island is able to retain its charm and allure, and this is what makes it appealing for a greater number of seasoned sailors and tourist that sail to this region for an authentic Greek holiday. Skiathos lies on the Aegean Sea and is one of those important holiday destinations that comprise the island complex of Sporades. It is located along the western edge of the Aegean Sea and is the closest to mainland Athens among all the islands of Sporades. Considered as one the largest islands of Greece, it features a total of 60 stunning beaches. 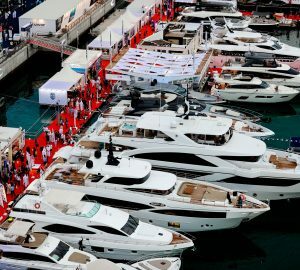 Easily, it is one of the best options for sailors and other yacht charter enthusiast who want to experience an almost-perfect Greek holiday. The largest city in the Island of Skiathos is Chora. It has features and a character that is typical of old Greek towns – old structures with neo-classical designs. 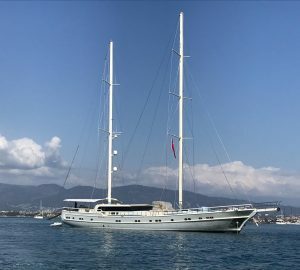 What is so unique about Skiathos is that there are no villages in the island, only small settlements that are concentrated in the coastal area, which sprung as a natural response to the booming tourism in the island. Thus, these villages feature accommodation facilities, food venues, cafes, bars, boutiques and local shops. These coastal villages are just a short walk from the beaches of Skiathos. 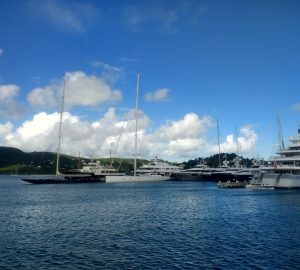 Aside the from the typical whitewashed houses and narrow alleyways of the old town, sailors and other yacht charter enthusiasts should include in their day itinerary the local churches in the Island, and these include the Madonna the Limnia and the Three Heirarchs. The nighttime entertainment is also a popular attraction of Skiathos. The island turns into a vibrant and effervescent nightspot as soon as the sun sets. There are several bars, cafes clubs that offer a variety of nighttime entertainment options. Your Greek holiday in the Island of Skiathos is not complete if you don’t sample the delectable treats in the restaurants and other food venues which are usually located in the coastal villages near the beaches. 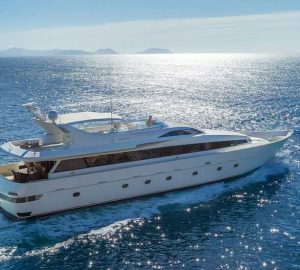 Owing to the number of beaches, 60 in all, in the Island of Skiathos, it is not quite difficult to surmise that most of the major events in this popular yacht charter destination happen along its shore. Majority of the fun activities and events take place in the preferred beach locations such as the Banana Beach, Platanias, Megali Ammos, Achladies, Vromolimnos and Koukounaries. 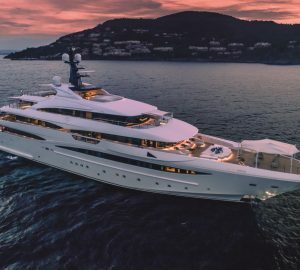 Of course, there are a lot reasons why you should spend your Greece superyacht charter vacation on the Island of Skiathos. If you want to experience your dream Mediterranean holiday, then this paradise island is definitely a wise choice. Explore Location Guides for great destinations near Skiathos .